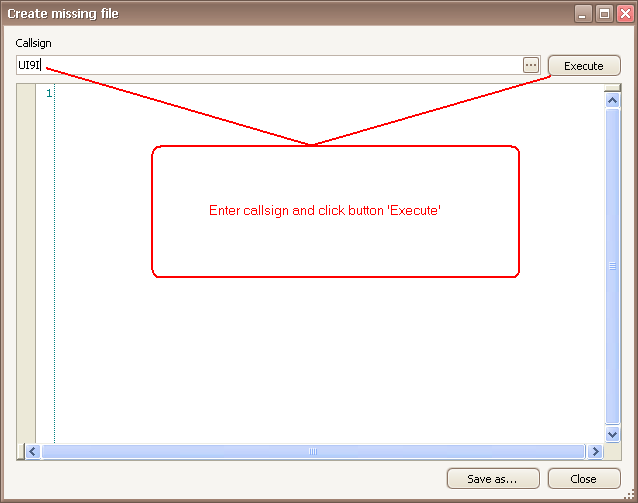 Program allows to generate a file (for example CABRILLO) on the basis of files of other participants. This way to improve productivity by preliminary preparation of files in improper formats (including 'paper-based' logs). Click the right button of the mouse in a tournament tree. 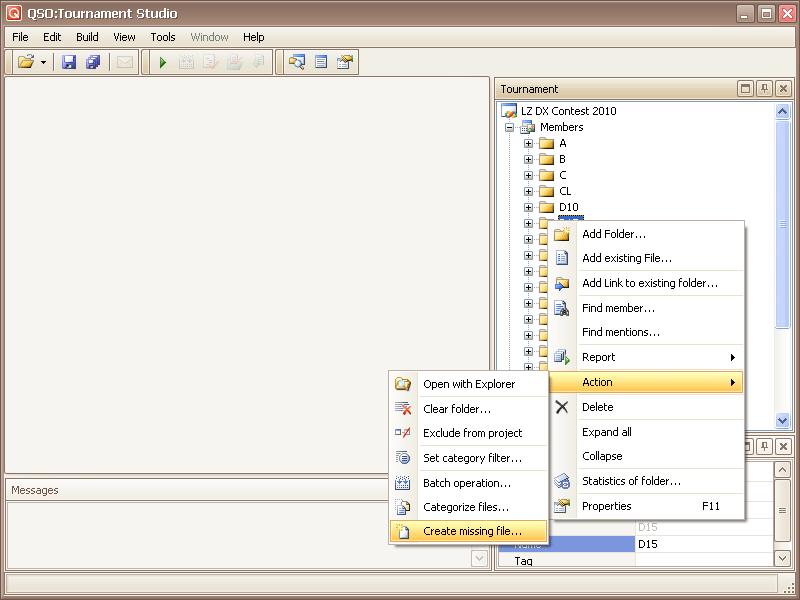 There will be a context menu in which it is necessary to choose "Action" - "Create missing file...". 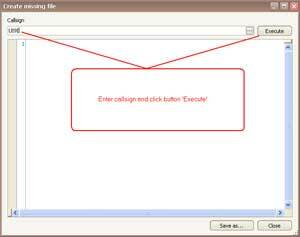 Enter participant callsign (the 'missing log' callsign) and click button 'Execute'. 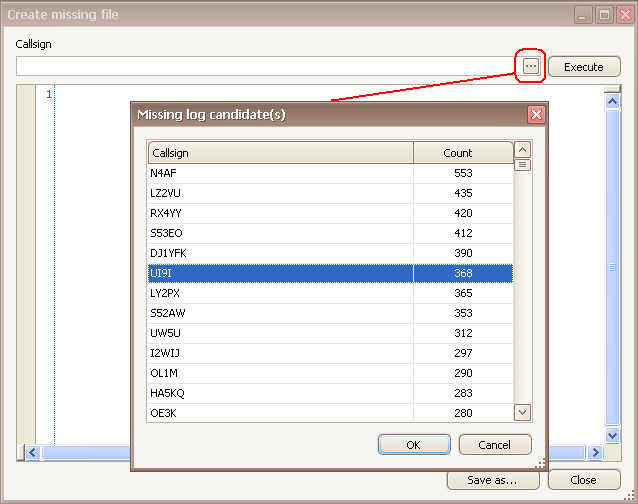 You can use 'Missing file candidate(s)' list for choosing a callsign. 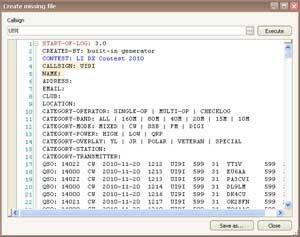 Click button '...' in the callsign text box. List creation will occupy some time. 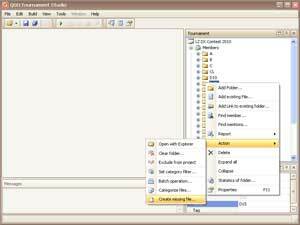 It is half-finished 'log' to which it is necessary to make changes, on the basis of an original participant file, including to transfer errors. 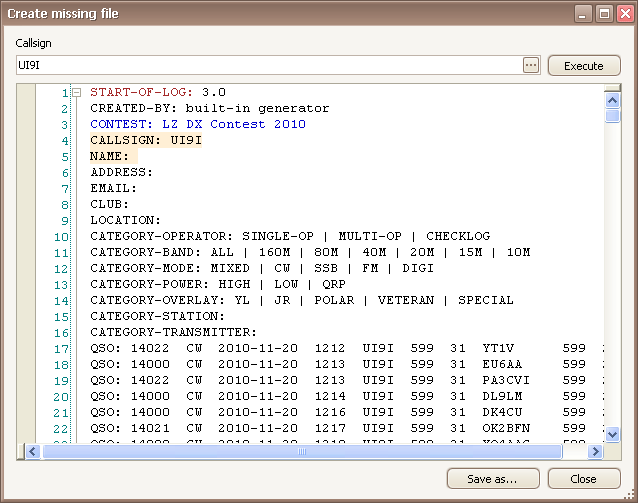 The order of QSO-records in the generated file can differ from original because of possible divergences in reception time. Generated log can be save to file, for editing and addition in tournament.